Along with doorbells and sleighbells and schnitzel with noodles, one of my favourite things in life is taking a shower. Being the weirdo/compulsive buyer of shower products, I use certain ones for morning showers and other ones for evening showers. Please tell me I'm not alone in this? When I collected it from the post office last week and opened it (in the car might I add), I closed my eyes and inhaled the scent, immediately filing both the gel and cream into my Morning Scent category and couldn't wait for the following morning to use them. The gel creates lots of suds quickly, smells divine and doesn't leave my skin feeling tight. It leaves the scent on my skin for hours and is a morning shower product if ever there was one. The front of the bottle says it cleanses, scents and softens. Check, check and check. 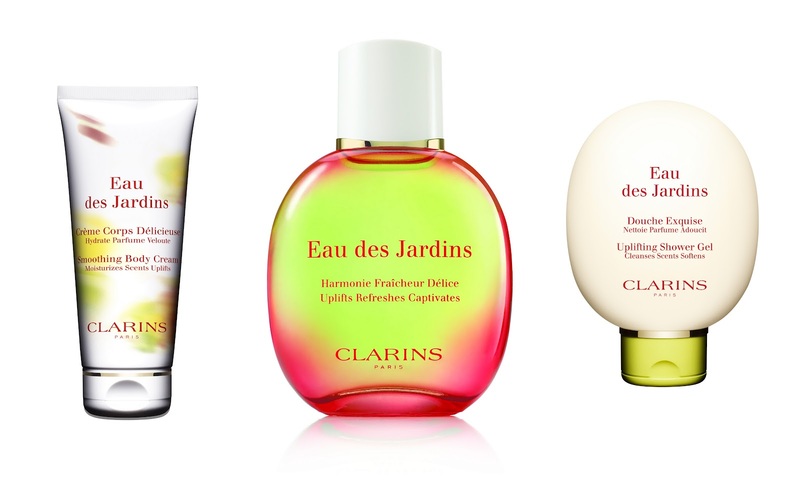 The Eau des Jardins products would make a perfect gift for Mother's Day this month. This zesty shower gel and body cream will make your mammy happy or if you feel like indulging a bit and congratulating yourself for making it through the cold winter months, this is for you. Or her. Or both. Then you won't have to fight each other for it. Mmm seems fab, pricy though for shower gel. What do you think? Love Eau de Jardins, use it as body spray in the summer or as a base for Light Blue. The Eau Dinamisante (the red one) is gorgeous too, a bit strong and strange but very uplifting.